I always say, I'm not saying this is what's going to happen. Will it be correct, no. I have hit on a decent number of signings and picks over the years (Cousins, Carlson, Lee, Munnerlyn, Hill, Jennings, Waynes, Patterson, Hodges, Harrison Smith and Floyd) but it's next to impossible to ever get these right but I know you guys enjoy the read. I look to assess our current needs as best as I can and keeping it as realistic as possible. I must say, I do a lot of research on these guys and if you look at my previous mocks, many of the guys I have us selecting may not be making an impact for us but they are making a big impact elsewhere. LT- Riley Reiff- Doubt this happens but I hope it’s considered. Especially if they were to follow the route I am going to in this mock. It will cost us ~$6 million in dead money but save us around $5.5 million. TE- Kyle Rudolph- his production went down quite a bit this year but he’s a great leader and is probably going to win WP Man of the Year. I can see him taking a discount and staying with the team. Hopefully here we can shave another ~ $3-4 million off the cap here. P- Matt Wile- Original Round Tender, I say we keep Wile. He seemed to be kicking a lot better by years end. FB- CJ Ham- Original Round Tender, Ham wont cost much and is a pretty solid pass catching FB. I’d like to keep him. OT- Rashod Hill- I cant stomach him subbing in at tackle any longer. Although he would be fairly cheap to keep, I say let walk. DT- Sheldon Richardson (3 year deal)- Richardson was rock solid this year. I take him over Barr any day if I had to decide between the two. C/OG- Brett Jones (1 year deal)- acquired him via trade and is a good depth piece here. K- Dan Bailey (1 year deal)- I’d rather not go through drafting another kicker. I still think Bailey is the best available. DT- Tom Johnson (1 year deal)- Excellent signing by us this year. No matter the age, Johnson has always been effective in Zim’s system. WR- Aldrick Robinson (1 year deal)- A solid #4 IMO. Had a good connection with Cousins. RB- Latavius Murray- I’ve always been a Murray fan but I dont know if we could afford him. OG- Nick Easton- Neck injuries are never good. I’d rather let him walk. RB- Ameer Abdullah- Easy release. FS- George Iloka- With the emergence of Harris, we had no use for Iloka. Vikings trade SS Andrew Sendejo to the Atlanta Falcons for a 6th round pick. Atlanta desperately needs safety help and I still think we can get something for Sendejo. Even though he has a $5.5 million dollar cap hit, Atlanta will look to restructure his deal. Vikings trade WR Laquon Treadwell to the Buffalo Bills for a 7th round pick. Treadwell got more looks this year but didnt impress all that much. However, his age and draft pedigree could still warrant some value. -I initially had Mark Glowinski here but he was just re-signed. Safford has been a top guard every year outside of his injury riddled 2015. Even though he is 31, he still has some years of solid play left in him. -I’ll give credit here to YikesVikes. Love the idea of this signing and we should be able to get him fairly cheap. 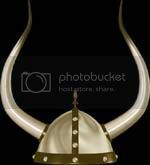 It will remain to be seen if the Vikings put ONeill on the left side or Nsekhe. -We actually drafted Lee in the 7th round in 2017. We met with him a ton before the draft as well. He knows the system and knows Zim. He played great for the 49ers this year and is set to hit the market. Good low risk high reward signing. -Ford is an excellent offensive lineman. 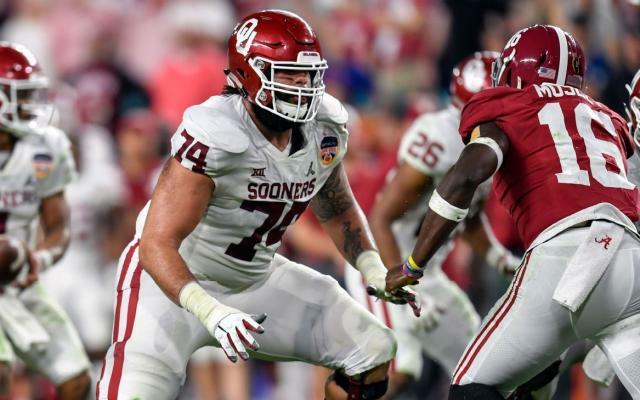 He currently plays OT at Oklahoma right now but could kick into guard in the NFL. He has unbelievable quickness and strength and excels in both run and pass blocking. -Joseph was one of the top LBs in the country this year and can fill Barr’s spot with ease. He’s a fast sideline to sideline LB that is much better when it comes to the blitz than Barr was. He is very similar to Telvin Smith from Jacksonville. And he also has the same knock as Smith did, he could “put on weight and get stronger”. IMO, I think he will be just fine. -Bryant is a good player that was stuck behind a bunch of great players so I can see him falling and he brings excellent value here. He is referred to as “The forgotten Clemson defensive lineman”. Griffen’s future is up in the air and this is a kid that could be a starter by year 2. 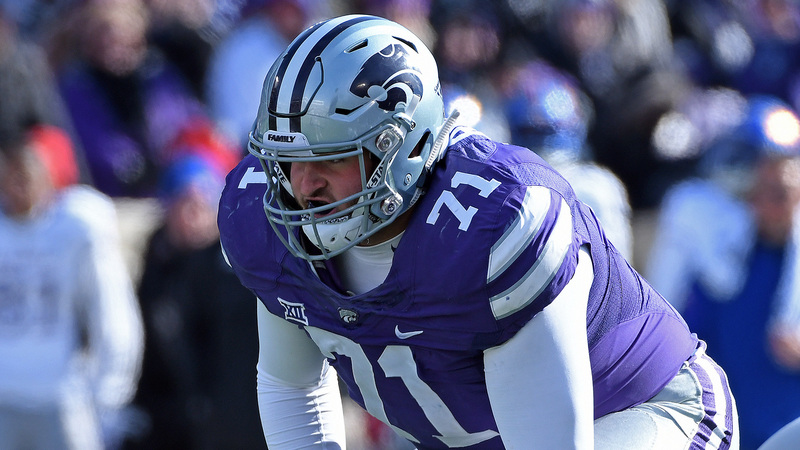 OT- Dalton Risner- Kansas St.
-We have already met with him at the Senior Bowl this week. He has shown great versatility, can play multiple positions and excels in pass blocking. He could sit behind Nsekhe and O’Neill for a year and then take over as the starting RT while ONeill moves to RT. He also played OG during his K-State days which he could end up playing here as well. -Yes we traded with the Giants to take Shurmur’s son. If Shurmur doesnt take him, I’m sure he’d like him with Zim. Chances are the Giants take a QB round 1. Shurmur is a very smart player and has shown a lot of improvement over the past few seasons at Vandy. He will be a #3 behind behind Cousins and Sloter. -Anderson missed the majority of the season due to a knee injury however he is one of the top backs in this class. I’ve always been a big Anderson fan but by the looks of it he could fall. I think this would be a great value pick and will be our replacement for Murray. He is a very similar RB to Murray. A north-south runner that can play a workhorse role if needed. S- Mark McLaurin- Mississippi St.
McLaurin made a ton of plays at Miss St. and is a ball hawking type safety that will provide some depth after losing Iloka and Sendejo. He is very similar to Harris when he was coming out of Virginia. -Hodge is a freak athlete that will probably get overlooked due to where he went to school. However, he is a strong tackler and recorded 154 tackles last year and provides depth. FINAL THOUGHTS: This offseason I set up was very OL heavy which might be a shade unrealistic but if Zim and Spielman want to keep their jobs and get the maximum out of Kirk Cousins, I feel like they need to do this. Cut the dead weight and move on from our losses. I feel like money wise, all of this is very reasonable and doable. This would give our OL 3 new starters. Which seems like a lot, but it's exactly what I think we need....3 new starters along with O'Neill and Elflein. One thing about the OL I signed and drafted is that they all have versatility. 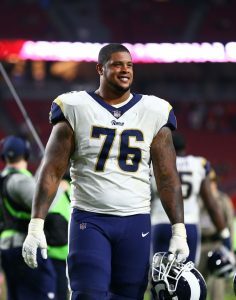 Saffold can play either guard spot, Nsekhe can play either tackle spot, Ford can play guard or tackle and Risner can play guard or tackle. I also think one of the more "underrated" moves of this mock offseason is moving Sloter to #2. We dont need the "veteran backup" anymore with Cousins. Cousins is the vet that can teach these young guys in Sloter and Shurmur. They are two QBs with a lot of potential and can be groomed and see where the chips fall when Cousins contract is up. But me personally, I would feel more comfortable with Sloter in the game than Siemian if Cousins was to go down. Sloter is a gamer. He reminds me of a poor man's Pat Mahomes. I think he could be a "sneaky" possibility to take over in a year or so if Cousins flops. I know others think different. Either way, I hope you guys enjoyed the read!!! Last edited by Pondering Her Percy on Tue Jan 29, 2019 2:09 pm, edited 1 time in total. Nice job! I'd be pretty happy if the off-season went down that way. Even if we got one of those FA linemen and Ford that would be huge. Ty Williams could be a good fit for the Vikings, he's a field stretcher that gets his numbers in chunks. A better Aldrick Robinson basically. I'd like to see if we can move on from Ham. Seeing Develin and Line makes me want an old school FB again. Just a guy that can clear holes. Tough to find these days with the college game evolving but it would be good to give Ham some competition. I'm okay with Sloter as #2, it's risky but prob necessary with Cousins contract. We're screwed if he goes down for any long period anyway. Richardson I'm not too sure, depends on how much he'll be asking. Our run defense was very suspect and I don't know if that's more a function of him or Linval playing hurt. In either case, linemen are run stoppers first in Zim's offense and that really took a hit this year in key games. We need a back up for Linval and it's not Jaleel. Maybe that can be done via the draft like you project but that was a major mistake in last year's roster IMO. Agree Harris is a priority signing. Just out of curiosity, how do you choose the teams that are in your trades? I like the idea of trading Sendejo. I would like to see Ham try the role Landon mentioned above. He's really a good blocker and runs like Leroy Hoard (if you want 1 I'll give you 3, if you want 5 I'll give you 3). You know, Marcus Sherels is a really underrated player. When teams kick to him, he makes them pay. He is a special teams stud. I like him. I hope he stays. I wonder if we will move on from Griffen. That will be the most interesting storyline of our current players. Yes I feel like we need another outside WR that can stretch the field and felt Williams could be the answer. I can see where you're coming from with Ham. I do like Sloter more and more. He had a great preseason however, I dont really have a clue what his arm strength is like because he didnt stretch the field much in the preseason. However, his accuracy was very promising. As for Richardson, he's definitely going to cost us but IMO, he's never been considered a weak run defender. So I'm starting to think that was more due to Joseph playing hurt. I love Kendricks but I think we need more of a thumper on the inside. Kendricks would be better suited for the outside IMO. Vosean Joseph is someone that could do that but idk if Zim would ever make that switch or not. I agree with Joseph/Jaleel. I feel like true 1 techniques are tough to come by. Maybe we will find one though. I choose teams based off of need. Atlanta's safeties were horrendous this year. Buffalo has an extremely weak receiving core. As for in draft trades, I just look at who's picking where and what seems reasonable. I use a draft pick value calculator to make sure we are giving up or receiving equal value. I agree Sherels is very underrated. Me and you certainly are on the same page here. RE the needs and need not's of this team. I would be ecstatic if this scenario played out. Only one point, i doubt Risner makes it to round 4. At a stretch round 3, he's a big talent at a position where there's a severe lack of it. However, i enjoyed the post!! I thought the same about Risner as well but he was initially projected as a day 3 pick somewhere in round 6 or 7. He's definitely risen a ton. It's very hard to predict where he will go. My guess is, he will have a similar rise that Will Hernandez had last year. As the draft gets closer, he will continue to rise but who knows. Thanks for the feedback though! I hate to say it, but if Spielman and Zimmer don't move on from Griffen I'll be very shocked. The Vikings have guys behind him who can play. To be honest, I didn't notice much of a dropoff when Griffen was out. This isn't even a money thing - this is a professional and team chemistry thing. Getting Ford in the 1st would be huge. I cannot understate that. If there was a perfect fit for the team in the 1st round that matched both BPA and need, it's Ford. He could go earlier too. I think he's going to knock it out of the park at the Combine and in interviews, and the Vikes aren't the only team with a need at the positions Ford plays. But Ford at guard for the Vikes would be a great fit for both. Risner in the 4th would be a steal too. I agree that he'll likely rise. I've seen mocks with him going in the 1st. While I don't think his development level merits such a high pick, teams are getting a bit desperate for good offensive linemen. That could inflate Risner's stock enough where if Spielman wants him, he might not be able to wait until the 4th. As it stands right now, I see Risner going somewhere in the 2nd. Maybe even to the Vikes. I am a big fan of both your round 7 picks. While neither of those guys is likely to make an immediate impact, I think both are the type of player that could definitely develop into quality starters and even impact players if they are given time and good coaching. Always love to see this prediction thread from you PHP. Thanks! Glowinski just re-signed with the Colts. Bummer. Who’s next on the free agent list? All in all I would be very happy with these results. Nice work PHP! Noooo!! I'll change it. Probably go with Roger Saffold. 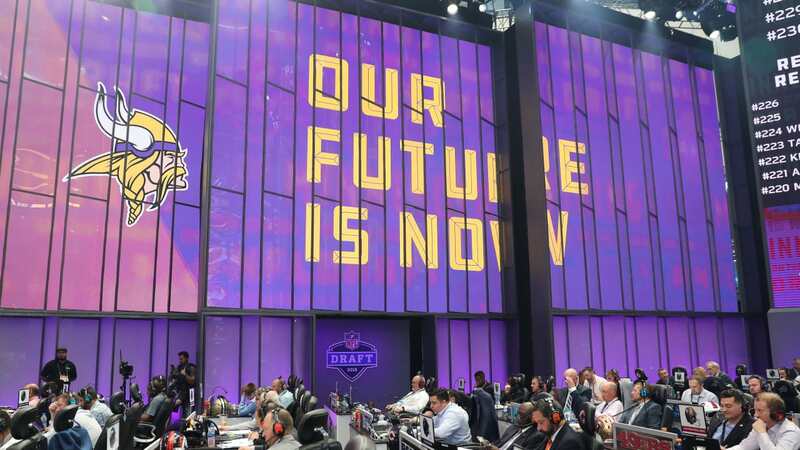 Most mock drafts I have seen have Risner going in the first, with several having the Vikings taking him at 18. His performance at the combine will likely dictate whether he is one of the top tackles taken. 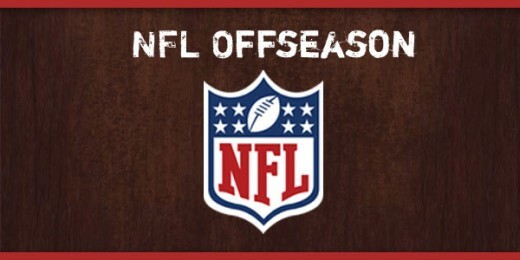 I would prefer them take a tackle and guard with the 1st 2 picks and designate remmers and reiff post june 1st cuts.